Façade refurbishment and restoration projects are complex undertakings. Timescales and budgets can all too easily overrun. This is often simply due to a lack of knowledge and the confusing array of available solutions. Which process best suits your façade material and business demands? Add to this considerations of access, containment of materials, security and potential disruption and choosing the right process for your building becomes fraught with uncertainty. Get it wrong and you may even cause irreversible damage. The exterior building cleaning guide offers an in-depth look at the traditional façade cleaning methods and their characteristics in order to understand both their benefits and pitfalls. Issues of access, water, and waste containment are all examined. Potential impacts on both building occupiers and the public are considered. The guide also explores a dry, non-abrasive alternative method and how the above issues are minimised, whilst the benefits of speed, value and sustainability are maximised. 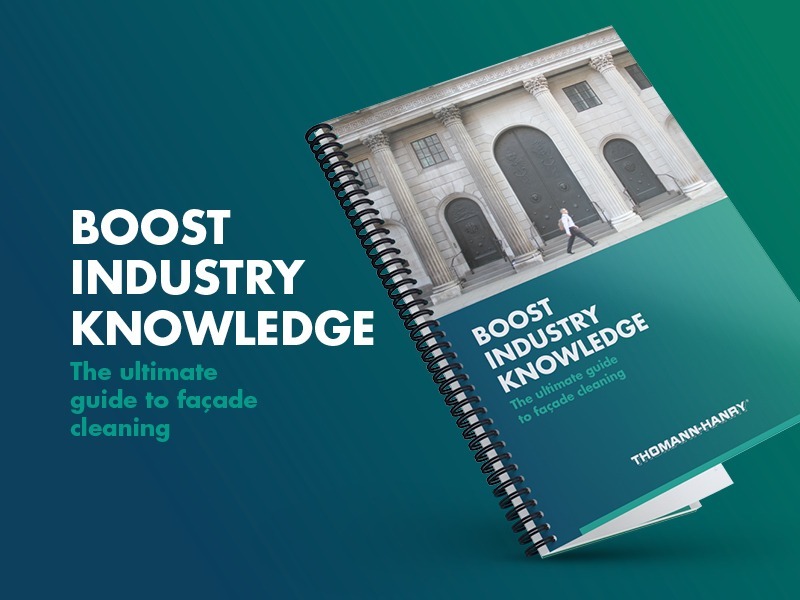 Written in simple, no-nonsense language, this comparative guide gives you clear and accurate advice to ensure a successful building façade cleaning project. Order your FREE guide today.